There is a slight difference between a normal smartphone user and a techie smartphone user. The former uses the mobile phone whereas the latter lives in that mobile phone. I belong to latter category. I use… nah I live with my smartphone. And it all started when I first bought the Phablet Samsung Galaxy Note, following by Note 2 and then to ASUS Zenfone 6 – the smart big colorful phone I am in love with. I am using the phone for the past eight months. I have to say that Zenfone is the best phone available in the market. That is one reason I kept watching their website. My short wait came to an end when I read about ASUS Zenfone 2. Do you know that Zenfone 2 comes with a luxurious brushed-metal finish? Trust me the luxurious ultra-thin ergonomic arc look of the phone is very attractive. No other smartphone available in this price range or even higher can match the elegance and class of it. And that’s pretty much the first reason to look for this phone. 64-Bit Super Quad Core Intel Atom Processor, 4GB RAM (2GB also available) and 64GB (16GB and 32GB available) internal memory. Is this the configuration of the laptop that I am writing this post? No… This is what Zenfone 2 Tech Specs. OMG! I cannot believe my eyes! If this is your reaction, then join the club. And this sums up the second reason to buy this phone. Many manufacturers have always promises a dream display and enriching touch experience, but what we experience is something bitter. ASUS is the only BRAND to have live up to the expectation and I believe Zenfone 2 with FULL HD IPS DISPLAY is icing on the cake. And this is why I love to experience this wonderful one. The most powerful eye is the lens. What if I say that this lens can click magnificent photographs even in the dark? Yes, Zenfone 2’s 13MP camera and f/2.0 aperture lens can capture amazing Low-Light photographs, HDR, Depth-of-Field photographs stunningly. Get ready to see what others can’t see. And this is why I want to tick this phone. The curse of being a frequent traveler is always living in “Zero Battery” zone. Thanks to ASUS BoostMaster Technology that can charge the Phone at double the speed. It might be unbelievable but 60% in 39 minutes… is freaking awesome. And guess what with 3000 mAh it just serves the purpose. Perfect solution for business people. And this is why I want to make this phone mine. Of this, I am sure; these five reasons will redefine the smartphone experience for any smartphone user. 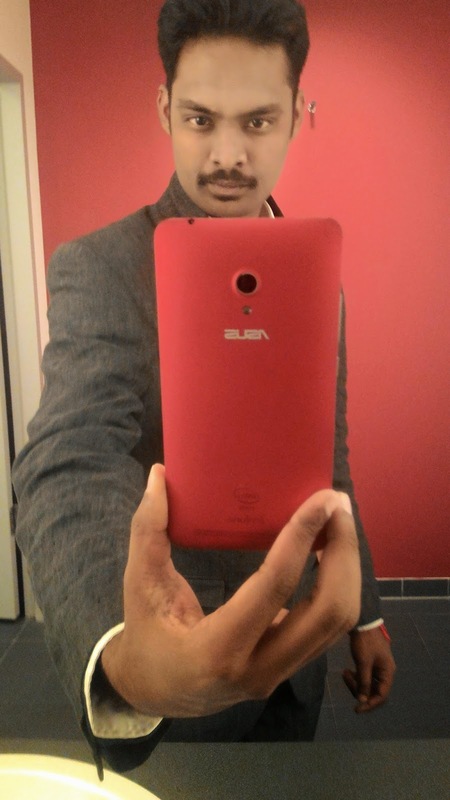 Love ASUS Zenfone 2? Tweet #CantWait4Zenfone2 and follow ASUS India and stay tuned!